My annual spring tastings of vins clairs suggest 2016 is an uneven vintage in Champagne. The wines I tasted were on the softer, more open-knit side of things relative to how vins clairs show in the very best vintages. Of course, vins clairs will go through several transformations as they are blended and bottled to become Champagne, and then aged prior to being disgorged and ultimately released, a process that takes a minimum of a few years. These are some early observations. Two thousand sixteen got off to a rocky start in Champagne. A frost on April 27 and 28 lowered potential yields anywhere from 10% to as much as 100% in the most extreme (but rare) cases. Rain during May through July was three times higher than normal, which, among other things, led to high mildew pressure and resulting in lower potential yields. Warm, dry weather arrived in late July, when I visited the vineyards, and continued into August. Temperatures were high enough to stress the vines and even burn grapes in some spots. Conditions improved towards the end of the season. Rain just before harvest was especially problematic in the Côtes de Blancs. It is a year in which being able to be nimble in the vineyards was absolutely critical. For that reason, on paper, 2016 favors small, grower estates where proprietors and their workers can get into vineyards quickly, on a Saturday or Sunday if needed, as opposed to the larger houses that by definition have much less flexibility in their labor forces. On average, yields are down 33%. In my view, 2016 is an average to perhaps slightly higher than average vintage that, for most houses, especially the large players, is probably best suited to reserve wines as opposed to tête de cuvées. I expect the tête de cuvées that are made to be bottled in relatively small amounts. 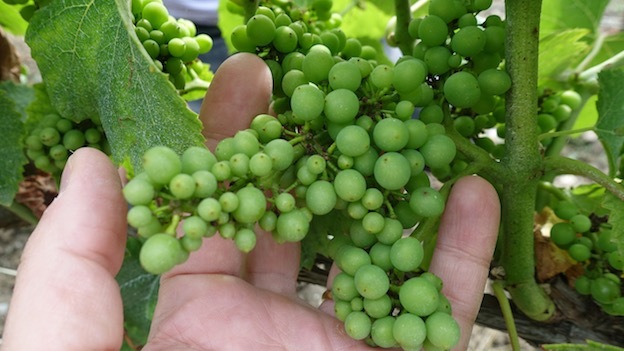 The Pinot Noirs and Meuniers are generally a notch or two above the Chardonnays. While I did not see any wines with significant flaws, I have also been doing this long enough to know the likelihood of a producer, small or large, showing a vin clair with an obvious flaw is close to zero. It is hardly a coincidence that this year producers showed fewer Chardonnay samples than in years past. Broadly speaking, the 2016s are soft, open and diffuse. In other words the wines lack the natural tension and energy that is a signature of the finest vintages in Champagne. On paper, the 2016s appear to have a good amount of acidity, but in general the wines feel flabby and too accessible. The best 2016s I tasted were in the Montagne de Reims, followed by the Marne Valley. 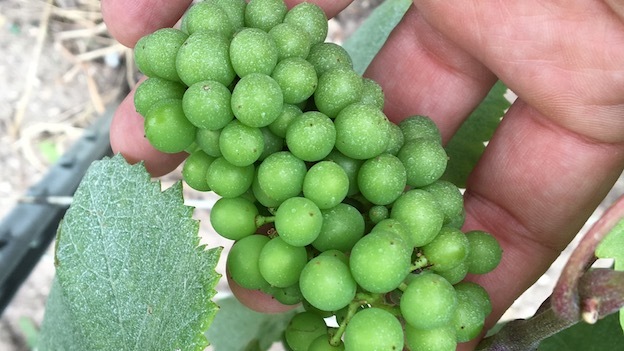 The Côtes des Blancs appears to have been significantly affected by the conditions of the growing season and a heavy rain just before harvest. I tasted many Chardonnay vins clairs, including wines from grand cru villages, that are diluted and lacking any real depth or pedigree. Numerous vins clairs in the Côtes des Blancs suggest producers allowed yields to be excessively high and/or harvested too early. 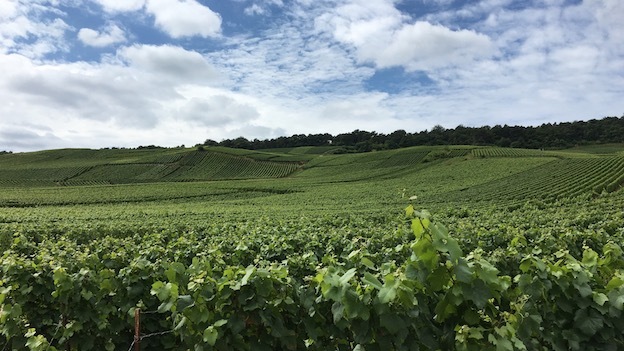 At Jacquesson, Jean-Hervé Chiquet told me he was leaning toward bottling his 700-series Champagnes and possibly just the Terres Rouges among his single-vineyard wines. Taittinger plans to bottle small amounts of their Comtes de Champagne Blanc and Rosé. Didier Depond will declare the vintage at Delamotte, but not Salon. At Roederer, Lécaillon will bottle both Cristal and Cristal Rosé. Other Chefs de Caves were more noncommittal. All of the vins clairs in this article were tasted during a trip to Champagne in March 2017. Given the size of the region, along with my focus on top growers and houses, the vins clairs I tasted naturally represent a small sampling that skews towards the upper end of the qualitative range. Even so, the personality and potential quality of the vintage is evident.